Used by some of the most respected brands in the guitar amplifier industry, the NemFX M-Type Version is the latest offering from our popular NemFX Series of Digital Multi-Effects Modules. The stereo-in, stereo-out NemFX M-Type Module features 16 programs including three Hall Reverbs, three Rooms, three Plates, a Nonlinear Reverb, a Chorus, a Flanger, a Delay, and three Multi-Effects. Each program has an adjustable parameter for a wide variety of sounds. 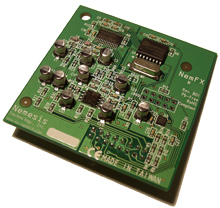 One of our most popular products, the NemFX is a high performance, low cost, stereo-in, stereo-out audio effects processor module. The NemFX offers a wide range of programs including Hall, Room, Plate, and Spring Reverbs, Delays, Choruses, Flangers, Phasers, and Tremolos. The popular Program Chart C patch bank features 16 outstanding programs that are well-suited for use in a guitar amplifier or studio effects processor. For high volume customers, Nemesis can also provide semi-custom program banks specially tailored to fit your needs and differentiate your products. Nemesis Technology, Inc. has introduced the RD.99 Series of Reverb and Delay Modules. The RD.99 offers 2 Halls, 3 Rooms, 2 Plates, 1 Spring, and 8 Delays. The RD.99lc includes an assortment of multi-effects as well. Nemesis can provide semi-custom programs with the RD.99hp. Nemesis Technology, Inc. has introduced the MFX Series of Multi-Effects Modules. 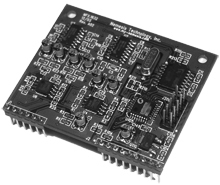 The MFX.32 offers 32 programs including Halls, Rooms, Plates, Delays, Chorus, and Flanger. 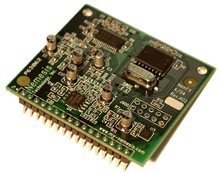 The MFX.16 offers 16 programs. Nemesis can provide semi-custom programs with the MFX.32ahp and MFX.32bhp. © 2017 Nemesis Technology, Inc. All rights reserved.